Thank you to the parents of Lili and Lulu Scott in Y1for the wonderful performance of Chareles Dickens’ “A Christmas Carol” last Thursday afternoon. Mr. & Mrs. Scott run a theatre company who are very busy travelling the country putting on plays in schools. 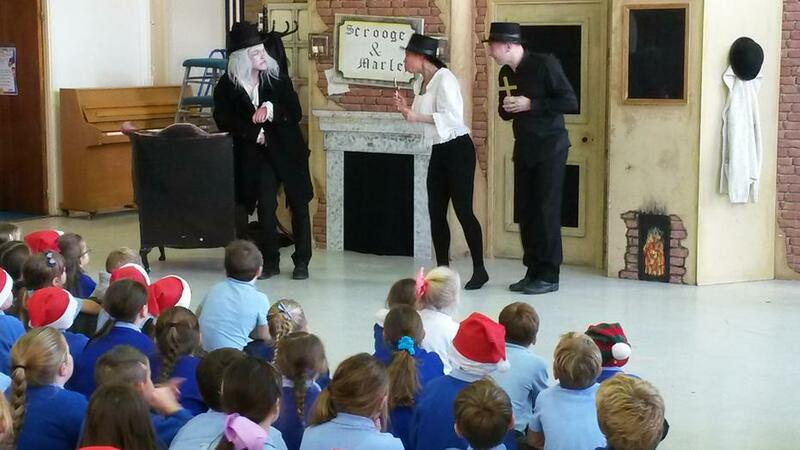 They did, however, take time out to put on a free performance for our children which was greatly enjoyed by many. Thank you!